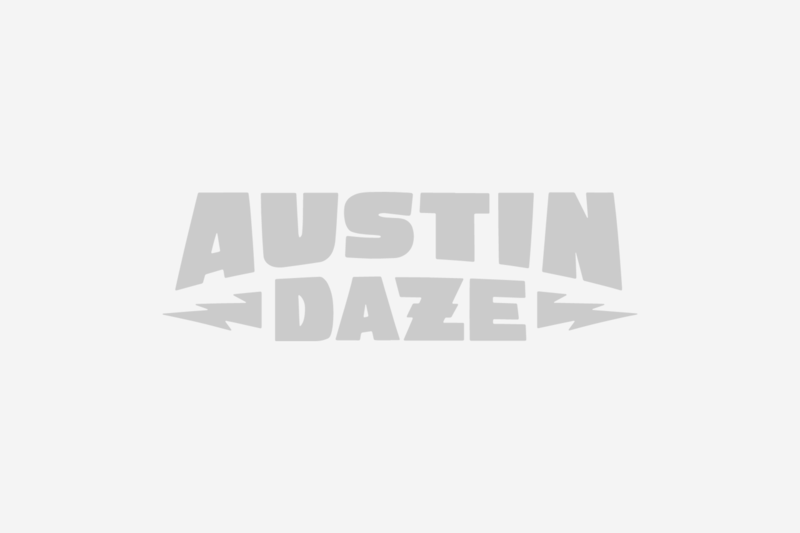 AUSTIN DAZE: How did you get started in the business? STEPHEN BRUTON: Well, when I got started it had nothing to do with business-I was just playing guitar in Fort Worth, Texas. And then, you know, one thing leads to another and the next thing you know you are getting paid a couple of bucks to do this or that and your hobby becomes your profession and your profession becomes your calling and pretty soon you’ve made a livelihood out of it. And now it’s too late to stop. AD: Did you always know this was what you wanted to do for a living, or was there a specific time when it clicked? SB: No I didn’t really know exactly how you make a living out of it. My dad was a professional musician-he was a drummer-but he always went to school and then had a record store in Fort Worth so he worked six nights a week and then six days a week he worked at the store. I was always surrounded by music. I got out of college during the Vietnam War era and I had a bad back so I didn’t have to go into the service. I got a degree to stay out of it and then said, “Well I’m going to try my luck.” So I wound up moving up to New York just to see. I knew there was a lot of music going on everywhere but Fort Worth, and I thought if it’s like this here it’s got to be great elsewhere. So I did that, went up to New York and lived up there, and wound up getting a job with a songwriter named Kris Kristofferson and wound working with him for years and years. Went back to Fort Worth and worked with Delbert McClinton for years and years and then back to work with Kristofferson at the time his star was born. I stayed with him for a long, long time but worked with other people-always worked with other people. So I ended up working with lots of greats and doing a lot of session work all over the place and was really fortunate. AD: I read that you moved up to Woodstock; was that scene similar to Austin back then? SB: It wasn’t similar at all. There was no scene in Woodstock. I didn’t realize when I moved there but everybody that lived in Woodstock during that time could afford to live there. There were a very small number of us where we wound up playing music. My friend Jim Colgrove was there. I was playing with Graham Parsons and all those guys that had been with Janis Joplin and then she died and they didn’t know where to go. They went back up to Woodstock where Albert Grossman had them up there. And there were the guys in The Band who I met. I met Levon the very first day I was in Woodstock-my roommate was working for them at the time. There was no real live music. There was only one place to play in the town. It was that everybody that could afford to live there lived there and made music there-they didn’t make music out at the clubs. If you wanted to go see live music you went into New York City. On the weekends I would take a bus there and check out what was going on. AD: Did you know Cindy Cashdollar? SB: I did not. And I didn’t know the great bass player Jennifer Condos. Evidently they were both around when I was there. They somehow escaped my grasp. I’m sure I would have ultimately wound up meeting them. I didn’t know Cindy during that time, no. AD: You play in a number of formats-as a solo artist; with a band. Do you have a favorite? SB: That’s an interesting question. I’ve always been of the mind that whatever you are doing at the moment is the most important thing that you should be working on. And so I always operated in a band format as a back up player and so to me that was my calling-I really enjoyed playing behind everybody. And then I was playing in bands and maybe doing one or two songs but I always liked the band dynamic because a really good band was greater than the sum of its parts. And I always loved playing guitar. That’s where my reputation, if there was one, came from. But as it has gone on over the years I never expected to be a solo artist and have my own band and everything but that became something that just fell in my lap-I didn’t avoid that. And I got more comfortable with that after I started doing it. The Resentments is just a bunch of guys who have their own bands but also play behind people so we’re comfortable doing either. It’s kind of interesting because one out of every four songs you get to sing a song and the rest of the time you are a back up player which is what we all really made our bones with. So in answering your question, whatever I’m doing at the moment I try to let myself do whether it’s me playing solo with The Resentments or playing with my band or backing up somebody-playing behind Malford down at Antone’s on Blue Tuesday or producing a record or playing with Kristofferson or Bonnie-it’s just whatever you are doing at the moment I think you really need to focus on. As a result, more and more things have come my way because I didn’t put my foot down and say, “This is what I do.” In this town we all know that everybody has to play in three or four different bands to make ends meet. And also as a professional, sometimes you have to do three or four different things. I’ve been really fortunate-blessed-to be able to do lots of different things and get called to do them again and again. One year there was nothing going on musically and I wound up getting a bit part in The Alamo. You never know where it’s going to come from so you’ve got to keep yourself open to it and lend yourself to whatever is going on at the time. AD: Tell us about your writing process. Where do you get your ideas? SB: That’s a hard question because there’s no formula. It’s funny the last album I put out the only mediocre review I got was in Austin where the guy said, “All his songs are formula.” And I started laughing because if there’s one person that doesn’t write with a formula, I’d have to say it’s me. I mean if it was a formula, if they knew the formula, everybody could do it and everybody could do it successfully. There is no formula. Sometimes it literally starts with maybe an idea-a word idea or clever phrase or something that you realize if you say a certain way can mean two or three different things. Other times, a lot of times, it comes from, say, a rhythm that you are playing or you have an interesting melodic line and you think, I don’t want to forget this, so you wind up making up a lyric so you don’t forget the melody. It’s not particularly deep or anything-I think some of my favorite songs in the whole wide world weren’t message songs or anything, they were just wonderful songs by themselves-they just express something that’s just, I don’t know, almost unconscious. Sometimes I think I’ll overwrite something, I’ll be a little heavy handed with it and then I’ll go back and you have to put your ego aside and you have to say, “Ok how can you say this where it doesn’t sound like you’re coming down with a hammer on somebody?” I think songwriting comes from wherever it comes from. It just happens. AD: I read that you liken acting to performing music. SB: I kind of backed into doing acting. Lets face it, I’m not exactly a household name by any stretch of the imagination, but a number of years ago I went out to LA and I was working out there playing music and I started going to this scene study class. You would take scenes from plays and you would work on a scene for a six week period and every week you would add, say, a page so by the end of that time you had worked on an entire segment of a David Mamet play or something. What I noticed about acting was that everything I had learned in music as a member of a band you could also correlate to something in acting. In other words, it had to do with the rhythm; it had to do with making whatever you were working on work. It had nothing to do with your own ego. So I really had a great time with it. This instructor said, “You seem to be able to adapt to a lot of things.” And I said, “Well it’s really the same thing as playing different kinds of music.” When it comes time for someone to deliver their lines it’s action and reaction. You’re reaction to whatever is happening at that moment is the truth. Therefore I could see a real similarity between the band dynamic and the acting dynamic. It’s like a band situation-and I got to say the guys in my band are the greatest. My father was a jazz player and I always grew up with a jazz sensibility about how the music should go. And I’ve explained to different people that there has to be this dialogue between the three of us before I ever sing a note. Even though my songs are not jazz at all, I always approach them with a jazz sensibility-there has to be this subtext, this conversation musically between everybody before you start singing. So I think that’s where that comes from. 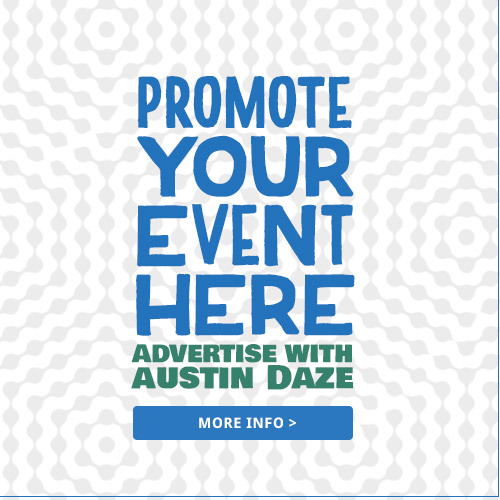 AD: What do you think is special about an Austin audience? SB: Well what I’ve told friends that have asked me about Austin, I’ve said, “It’s not an industry town.” It’s good in some ways and not good in some ways. What is good about it is when you come down here you really are playing music for all the right reasons. You’re not there to get the sessions-there aren’t a lot of sessions. Everybody is trying to help each other along. If somebody is out of town I’ll get a phone call to come play somewhere. You might get a call to play western swing one night or you might get a call to plays blues one night-even though that’s not what you do per se. What else is cool is that I’ll go out and hear different bands because it’s not a competition. You’re out there really enjoying what somebody else is doing because they are much further ahead in it than you are. AD: Do you think other towns have a greater sense of competition? SB: I don’t know. You could say some pretty catty things about different scenes. The real guys, the true players are always going to be the same in every town. But if this was more of an industry town, if there were more sessions or what not, people would be a little bit more competitive. That’s not always a bad thing because that really makes you sharpen your skills. There are two ways to look at every town. Somebody could say, “Oh Nashville, I don’t like Nashville because it’s too this or too that. But there are some of the greatest players in the world that come out of there, and some of the greatest songwriters and it’s an incredibly good music scene. It didn’t used to be that way. When I first started going there, I don’t think the music scene was nearly as viable as it is now. But it’s easy to ride off other areas. You hear, “He plays like an LA guy” Well what does an LA player play like? The guys in LA I know are incredible. Any town would be proud to have them join. I think you have to be inclusive rather than exclusive. Sometimes I think if there is a down side to Austin, it’s that it becomes a little exclusive; it gets a little too inside and a little too hip sometimes. But then again I love it here for the reasons that people really are inspired by each other and that’s really inspiring, the fact that it’s not an industry town, and no one is looking over your shoulder and telling you what you are doing wrong. You are able to grow at your own rate. The audiences here, I find to be really great and lets face it, it’s great to be able to play several nights a week. You have to realize you’re not going to get rich quick-you may not get rich at all but you are able to play. And if you are a player, that’s what you’ve got to go do. AD: What is the best thing and the worst thing about being a musician in Austin? SB: Lets talks about the worst thing: sometimes I hear this town referred to as the “velvet rut” and I think that can be true to a certain extent. Because you get comfortable here; because it’s so comfortable climate-wise and at least until recently, so easy to get around and smaller and friendly, good quality of life-it’s easy to become complacent. Any time you have a town that gets content with itself, it’s not growing. If you become complacent, you’re not growing. So you have to constantly guard against becoming satisfied with what you are doing and how you are doing it. There’s a difference between acceptance of where you are and what you are doing and procrastinating what you want to do or how you are going to do it. You have to keep furthering yourself. I think the worst thing about Austin is that sometimes it gets a little full of itself. It’s easy to live here and take yourself a little too seriously and have a little too much respect for yourself. You can wake up in twenty years and still play the same whatever. A number of years ago I started getting into producing, and when I would get off the road that was a wonderful place to be. I would get off the road with Bonnie or whoever I was working with and then go into the studio and produce somebody and it would be the flip side of the road-you know what I’m saying? You’re sleeping in your own bed but you’re playing music every day. So it was a wonderful place to be. But then the advent of the home studios: record companies went by the way-side, budgets have fallen drastically and now you’re asked to do the same amount of work for much less money. It’s just the way the industry is. It’s not like you’re not working or anything like that-it’s just the way it is. So that’s kind of the downside for somebody that likes to produce and be on the road. For awhile there I was having a ball. It seemed to kind of dovetail together. Now the best thing about being in Austin: even with the growth we’ve seen in the city it still maintains a community vibe-there’s a great community here. I don’t know, maybe I’m insulated and see what I want to see rather than what is actually going on but I feel pretty strongly about it. I feel that the music community is still really, really strong and real insular and protective of each other. I think that’s fantastic. I also love the fact that somebody calls up and says they are having a benefit and 99% of the time you’re in. That’s not found in a lot of towns. I really think that’s something special here. It’s one of the reasons I love it here. And it’s still easier to get around than New York. Austin is a double-edged sword: for the same reason you can argue for it, you can argue the other side of it. AD: What kind of changes have you seen in the music business since you started? SB: It’s really changing shape in the fact that the recording industry is different and what’s changing in the actual business. When it started out with 78s it was a singles oriented situation and it lasted until 78s became 45s and then if you had enough successful 45s or 78s you got to do a thing called an album which was all your hit singles and then three or four other sides that made an album. With the advent of CDs, record companies got really greedy and they were charging close to $17 for something that cost them a buck. Well now because they were greedy and because it was a self-fulfilling prophecy it’s gone back to a singles market. It seems like the younger and younger crowd that are buying music are buying single songs. It’s interesting to see it come around. A couple of years later it’s exactly where it started off in that sense-a higher technological sense that somehow doesn’t sound as good. AD: Speaking of change, what do you think of SXSW? SB: I enjoy SXSW because I get to see a lot of my friends that come to my town but still get to sleep in my bed. I think when it first started what I really think was great, and it seems to still go on, it was basically started for people to exchange information about things that they didn’t have-independence in the late ’70s and early ’80s. You could exchange publishing information and touring ideas and how to do things for less money and how to get your songs out there. This was right when the industry started shifting so it was a great thing and a great service, the original SXSW. And of course like anything else, it breeds success but also breeds its own failure. But if you take a look at the Convention Center every year, they still have the original thing: you can still find out about publishing; you can still find out about putting out your own CD. There is a lot of information that is exchanged that is for free. 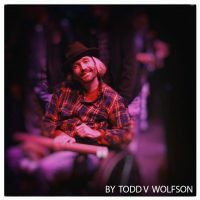 About 18 years ago I was really hating SXSW and I was down at the old Austin Rehearsal Complex (ARC)-they were opening it up for a showcase-and I hung around there and saw all these different young bands from New York and LA and I said to myself, “Man you are really becoming one of those old guys that hates everything. These young guys are great and they have driven all this way and are just trying to get a chance. They are all hanging out and they are just as nice as can be.” I looked at those guys and thought, there you were. There you were. What are you going to put down about that? On the other hand, I think it has a tendency to take itself way too seriously. It’s kind of an interesting deal. One of the things I noticed when it first started getting big and a lot of the national acts started coming down here and playing and it got to be a little Hollywood, was that this town wants it both ways. This town wants to be its own isolationist, hipper than thou, we’re Austin and the rest of you guys are something else. But then at the same time it also wants to be recognized. Welcome to Austin. Now go home. They’re not going home. That comes with the territory. It’s all changing. But I don’t have to worry about anyone else’s motives; I have to worry about my own. AD: What wisdom would you offer musicians starting out in the business? SB: You have to do it for the original reason that you started out which was that there was something in there, some magic element that was not tangible-not verbal. I’ve always told guys playing guitar, “This is your best friend, this is your shrink, and this is your better half, your mistress. This is the one that holds the mirror up to yourself.” The greatest thing about playing music is that you have an outlet that not a lot of people have. Anybody that is able to do that is completely blessed anyway but to do it for a living, come on. Let’s take a look at the world: we’re not stuck in Baghdad, we’re not stuck in Eastern Europe, and we’re able to do what we do. So don’t take it for granted ever because it is a gift. To sound like Yoda, “You must use this power only for good.” A lot of times if you are a musician you really don’t have a choice-this is what you are going to do. It doesn’t matter if you do it on a big scale or a small scale. My dad worked in a record store during the day and played music every night. I was able to go on the road and fortune shone my way but I know that if I was working in a store I would be playing music on the weekends. That’s just what you do. You just got to do it. The main thing is do it for the right reasons. If it gives you joy keep doing it; if it’s causing you a lot of pain you might want to take a look at it and back off for a minute. If things are going haywire, I don’t think it’s the guitar that is treating you wrong. AD: Any new recordings coming out? SB: I’m sure there will be. I haven’t been recording anything lately although I have been writing quite a bit. I’ve been testing new songs out at the Resentment gigs much to everybody’s chagrin. I’ll just finish them and bring them in on a piece of paper, lay it at my feet, and see if I can get through it. I think I have an album well under way right now but I want to keep writing until I can cherry pick it and find the best ones. AD: One of our staff saw you with the Blue Tuesday Band. Is that going to be a regular thing? SB: I don’t think so. I got the call to come play when Derek was out of town or couldn’t make it one night which I was happy to do. It was a couple of Tuesdays within a two or three week period. David Murray also played guitar and David’s an incredible guitar player so we had a really great time. Riley was gone last week, he was out in LA doing the Jay Leno Show so it was me and David playing two guitars rather than having a keyboard player. When I’m in town I love to play, I’ll probably go down and play a bunch more but I’ve got things going on. I sure had a good time playing down there. SB: I think we covered it all. I’m pretty long-winded. 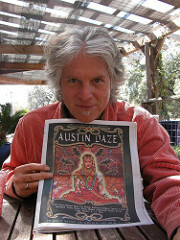 I’m a huge fan of Stephen Bruton, after seeing him at the Saxon Pub last August in Austin. My Fiancee Terrie &#38; I loved his performance so much, we went back on Sunday night for his accoustic set. Like he said, songwriting just has to happen…you can’t foce it. It can come to you as a groove without a concept, or a concept without a groove, or both at the same time. I’ve been trying to come up with fresh ideas, and presently I’m stumped. I’m probably gonna have to put his CD away eventually, and turn off the radio during my hour long commutes from Indiana to Chicago, in order to nurture a suitable environment for creativity.